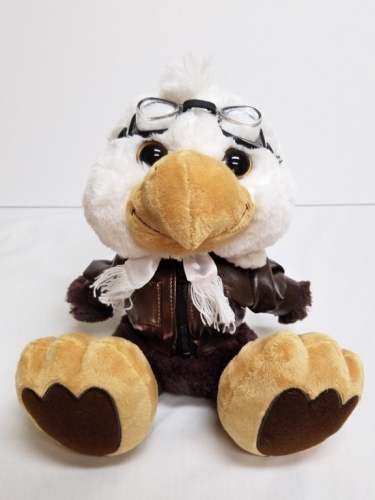 This fuzzy eagle has a soft, chunky body and an endearing face. The oversized feet feature accent fabric and embroidered details. He's bean-filled, giving him just the right amount of flop and the beans are double bagged for safety. 10". Great for cuddling!